History is told from one person’s perspective. Sometimes they don’t get it right. Ugly Stepsister Anna has wrongly been accused of being mean and evil. Now it is time she got the opportunity to tell her side of the story. With Cinderella so perfect and wonderful, it is no wonder Anna feels ugly in comparison. Dealing with bullies, a grumpy mother and the death of her step-father, Anna is at her wits end. When the Prince’s ball approaches, Anna is told she must find a husband to save the family fortune. Attending with her sisters, the sulky Prince Charming only has eyes for Cinderella. With the burden of being the only one to unite her step-sister with the Prince, will Anna act as cupid? Or will she protect Cinderella from the arrogant Charming? I came across Cinderella is Evil on a friends Facebook page. Since I'm a complete sucker for Fairy Tale retellings and the price being free I didn't hesitate a second to pick this one up. As short stories go this is surprisingly packed with information. Cinderella is Evil if you haven't guessed by now is told from that of the "Evil" stepsister Anna. I love this character. I never thought I could feel sympathy for one of Cinderella's sisters but this Author had me doing so within just a few short pages. Anna in the original tale comes off quite horrid. I think in this tale she comes off more as a bratty step sister who is simply put jealous of pretty and perfect Cinderella. Don't worry though, Anna completely redeems herself by the end. Another thing I also really liked is that we still see the tale as intended while viewing it from Anna's pov. All my favorite parts of the original tale were included (the ball, the glass slipper & Prince Charming). Thankfully though this Author chose to keep the foot cutting out of it. Smart move indeed. Overall, I loved this short story. Cinderella is Evil was a satisfying read with great character development and I can't wait to see what this Author does with more Fairy Tales in the future. I highly suggest picking up a copy of this short and giving it a go. 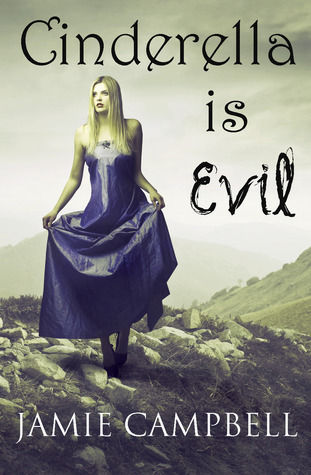 With that being said, I will be rating Cinderella is Evil by Jaime Campbell ★★★★. Lucretia and the Kroons can only be described as Tim Burton's Alice in Wonderland meets Stephen King's insert book of choice. To put it bluntly this Novella will screw with your mind. I've read this twice now and I'm still not entirely sure if events happened the way I read or if I'm trying to somehow formulate some semblance of a story to cover my confusion. Of course thinking about it further this is probably the intent to begin with. Is Lucretia actually seeing these things and going through all these horrific experiences or is she just trying to come to grips with a reality that is less than ideal? If someone figures it out, please let me know. One thing I will say that Lucretia and the Kroons has going for it is the Horror element. This book was scary and gory and satisfied my cravings for things that go bump in the night. As a Horror book I loved this story. The Kroons were terrifying and actually had me holding onto my throat in disgust at places. I also feel that the writing was good despite my misgivings about the story. I'm tempted to read the companion to this book The Devil In Silver but don't know if I can handle another trip down the rabbit hole aka the mind of Victor Lavelle. 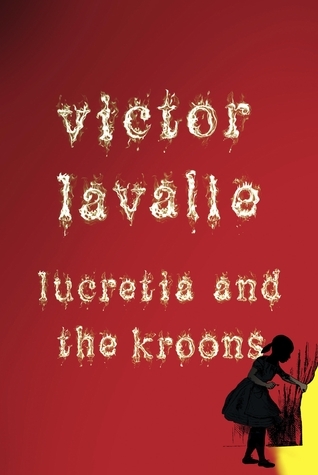 Overall, Lucretia and the Kroons is a well written if not bizarre little horror tale. Like I said above I've read this twice and I'm still not sure what I read so maybe you'll take my recommendation to read this with a grain of salt. However, I urge you to at least give this Novella a shot even if you just borrow it from someone. The Horror in this story is superb and I really feel that the Authors creativeness with the world deserves recognition. With that being said, I will be rating Lucretia and the Kroons ★★★. Cinderella is Evil sounds like a book I would enjoy, I like the new twists on fairytales, I am going to add this to my TBR list for sure! Lucretia and the Kroons sounds interesting too. I love how you wrote 'insert book of choice' when talking about Stephen King!! lol I', not a big Horror fan, but you have piqued my interest! !